they do not readily decompose, and when they do, they produce methane gas contributing to global warming. PeopleTowels, an on-the-go alternative to paper towels, are reusable personal hand towels that make going green as easy as drying your hands. Made only of 100% organic Fair Trade Cotton. 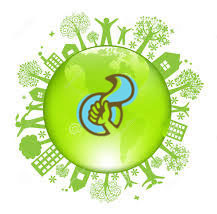 B.Y.O.Towel™ to save trees, reduce landfill waste, cut CO2 emissions and conserve water. The point their company drives home is There is No "Away" in Throw Away! Watch their story and see how we can work together to reduce the 13 B pounds of paper towels that are tossed in the landfill each year. To get your and be part of the movement go to peopletowels.com and use this promo code: ambassador002m3 to get 10% off of 2 or more People Towels! You may have asked yourself while logged into www.nicolebienfang.com "What Do Those Numbers and "BB"Mean Under My Name When I Am Logged In?" So glad you asked! The BB stands for "Buzz Bucks" these are points you are awarded for doing various things on the site like using your referral link and introducing a friend to the site. I love rewarding those who contribute and make my business a success. The more active and involved you are on the site the more Buzz Bucks you are given. To see what you can "cash" your Buzz Bucks in for go to the Buzz Bucks Exchange and see what prizes are available. Prizes may include cash via Paypal, Amazon Gift Cards or anything else you suggest as a prize you might be interested in via the Contact page.